Proprietary Name: Aspirin 81 Mg Low Dose What is the Proprietary Name? Non-Proprietary Name: Aspirin What is the Non-Proprietary Name? 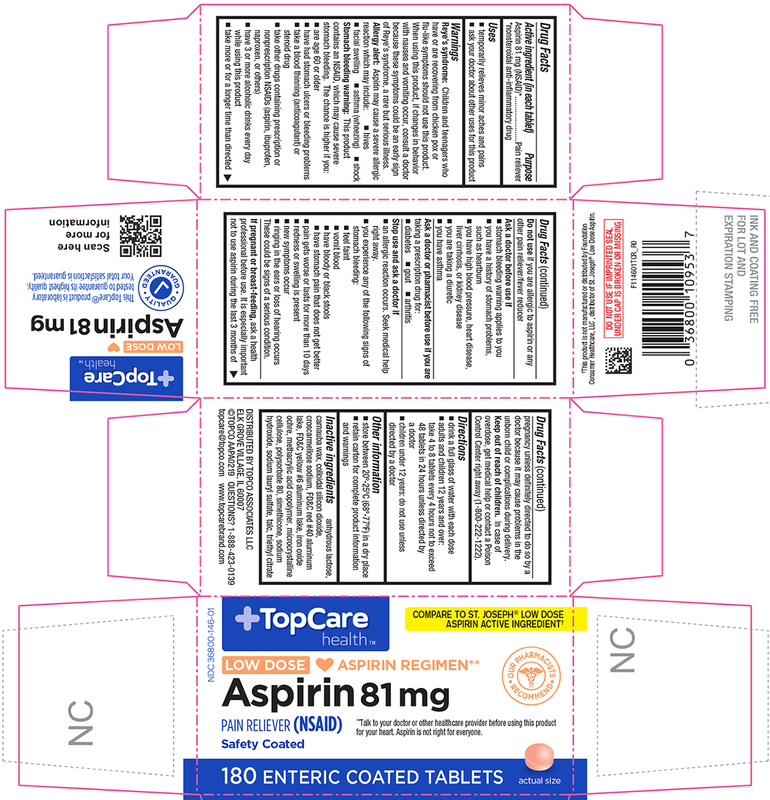 Aspirin 81 Mg Low Dose with NDC 36800-146 is a a human over the counter drug product labeled by Topco Associates Llc. The generic name of Aspirin 81 Mg Low Dose is aspirin. The product's dosage form is tablet, delayed release and is administered via oral form. Dosage Form: Tablet, Delayed Release - A solid dosage form which releases a drug (or drugs) at a time other than promptly after administration. Enteric-coated articles are delayed release dosage forms. Feel faintvomit bloodhave bloody or black stoolshave stomach pain that does not get betterpain gets worse or lasts for more than 10 daysredness or swelling is presentnew symptoms occurringing in the ears or loss of hearing occursThese could be signs of a serious condition.